We are apple and cider artisans. We make our ciders using traditional methods and look after our apple trees just like our ancestors did before us. Every year we offer an opportunity to young artists who, like us, feel a calling towards the art of the apple. 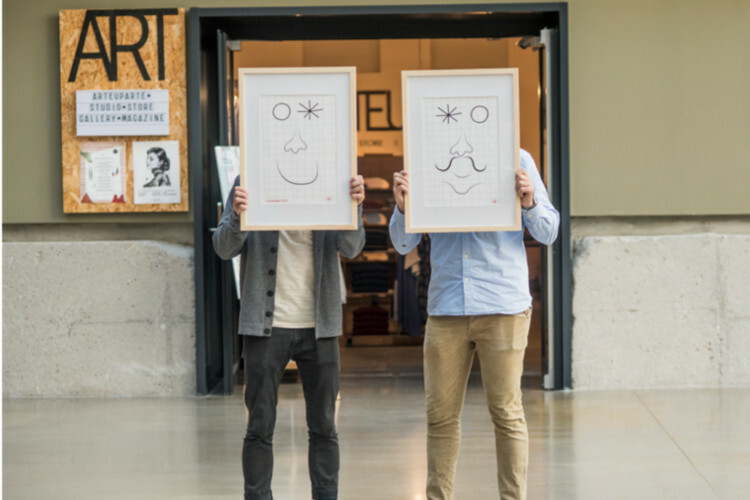 Discover our projects and become the next character in our story. 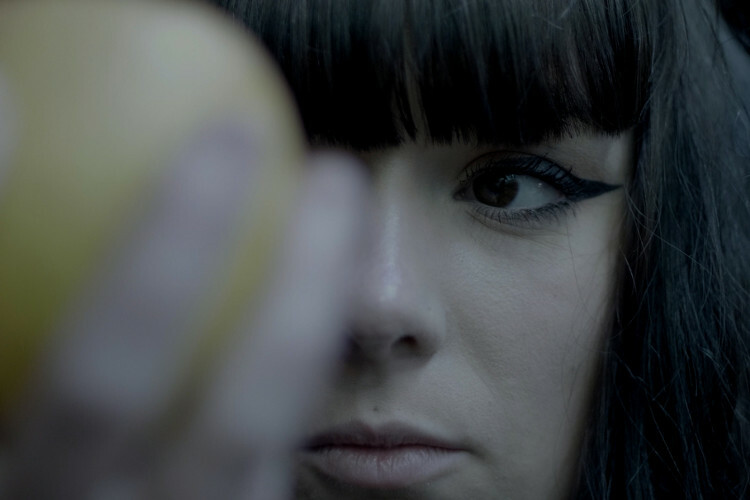 This short film by Aitor Zarzuelo seeks to reflect the place of the apple within Nordic mythology. In Nordic mythology, the gods are immortal and remain eternally young thanks to the Golden Apples of Idunn. Based on this myth, the piece explores the ideas of searching, change and personal sacrifice, also illustrating the clash between current civilisation and nature. While Aitor Zarzuelo was studying for the degree of Audiovisual Communication at the University of Mondragón, influenced by his professors Aitor Arregi (Handia) and Andrés Gostín, he developed a great interest in the world of cinema. As a result of this experience he began training as a film director and director of photography and creating different audiovisual works: short films, videos, documentaries and video art pieces. In 2015 he received a prize for Best Short Film by a Young Director at the 38th Euskal Zine Bilera (Basque Film Festival) for “Maitaleak”. Limited edition print (1/5). Based on traditional sketching and textures, it narrates the origin of the apple through the various myths found in Western mythologies. A work which transmits family values. 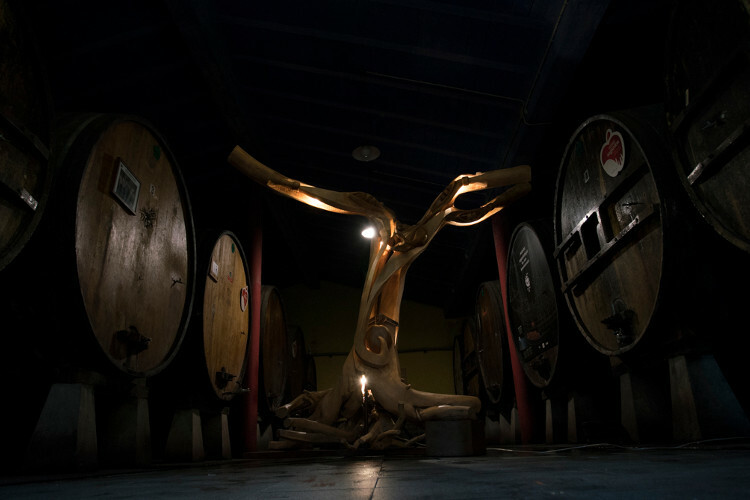 Everything in this carved apple tree begins in the roots which, together with the farmhouse, transform the fruit into our drink. The farmhouse brings cider to the outside world. The bottles symbolise modern cider and are the vessels for the message. 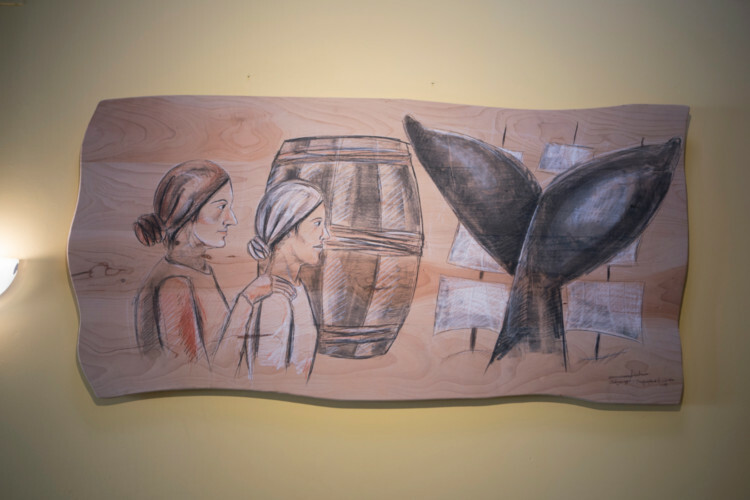 The branches, with whales and txalupas (small boats), represent the routes traversed by our ancestors to bring cider to the world, paying special homage to the whalers, cider producers and the people of Newfoundland. Iñaki Villanueva Ortega was born in Pamplona in June 1981. His relationship with wood carving began when he was 13 years old in a self-taught way. Between 2004 and 2006, he studied sculpture at the Pamplona School of Art, and he has also worked in the workshop of Koke Ardaiz. In 2007 he travelled to Florence (Italy) where he worked in the “Bartolozzi e Maioli” workshop after winning a Leonardo grant. Iñaki Villanueva’s works have a life of their own: when the artist stands in front of a tree, while our inexperienced eyes see only branches, roots, rough and grooved bark, he sees the life beating inside. This improvisation in charcoal, carried out during the concert of the Basque group Kalakan, narrates the history of the Basque whalers from the point of view of those who stayed on land. Anna Roca is a young Catalan artist (1993) who seeks to express the sensations of each moment through her work. She is a frequent traveller and visited the Basque Country during several consecutive summers in search of inspiration. She has studied Fine Arts and immersed herself in the most avant-garde techniques before finally specialising in the particularly diverse world of performance. Representation of a cider cask carried to Newfoundland and Labrador by the Basque whalers in the 16th century and later found on its coasts. This work consists of twin bronze sculptures seated on a river stone. 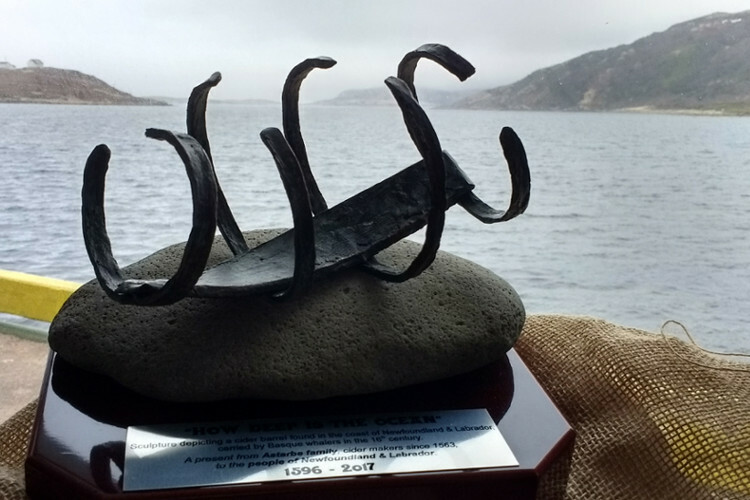 The first is currently in Red Bay (Newfoundland) and the second in the Astarbe cider house (Astigarraga). This artist originally from Azkoitia and based in Elgoibar has worked with most of the different materials during his artistic career but with the most classic arts dominating. He has been participating in exhibitions since the age of 14 and has won several prizes.